SystemK4-The eco-friendly future to dry cleaning? A german based chemical producer, Kreussler GmbH, is bringing it's new green solvent to the shores of the United States. SystemK4, or SK4 for short, is the new ground breaking dry cleaning solvent that is environmentally friendly, nontoxic, biodegradable, and safe for ground, water, and humans. Kreussler is making an aggressive pitch in the US hoping to capture the success that it has know throughout Europe, as the leader in the dry cleaning industry, since 1985. Their goal is to replace the current cleaning solvent, used by most cleaners, as the industry standard within 10 years. 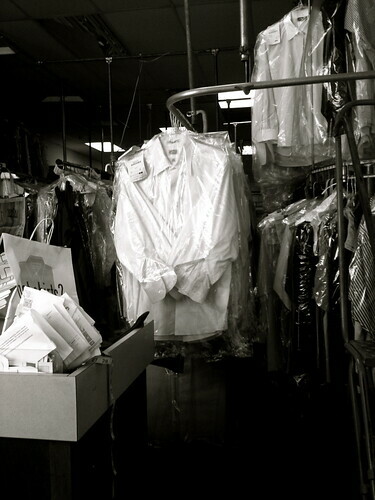 For more information on dry cleaning methods in Hampton Roads, contact Mark Pressed4Time today.